the importance of education has been a hallmark of indian culture and tradition. even today we find indians go abroad to many countries, and no matter where they go, they flourish and thrive and add to the local economy and society. president obama is even asking the american children to stand up and measure up to the indian and chinese students in competition. education and knowledge have always been important. there are many shlokas on the importance of education itself. and even today, in modern india, when education is fast becoming a business, the thirst of the parent to send the children to good school, or just to school is so strong that now it is sometimes difficult to distinguish which school is good school! why this importance of education? and what kind of education? there are two types of "education" - one is to acquire a skill to help in livelihood, the other is a much more in depth study of a topic, with more abstract or far reaching effects. either one, needs education, a trainer, teacher, an environment where one can learn. so it is not just for the "upper class" engineers, bankers, lawyers, doctors etc. that education is important. even the child of a glass-smith, farmer, factory worker, coal miner needs education. and contrary to modern beliefs that education was only the right of the "upper class", there were types of education and students chose according to their own needs and capacity. here in this shloka from hitopadesh, of course, the king is thinking about his useless princes who are not worthy yet of being a king. 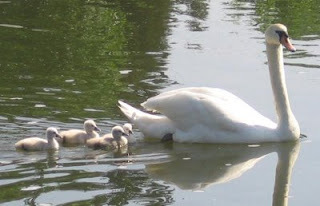 and he is thinking that as a parent it is his responsibility to educate his children, else they will be like crane among swans. vairI = opponent, from veera = brave. one who has a posture of bravery against you, as if your opponent, competitor. so a father who doesn't educate the child, is like a jealous competitor who doesn't want the child to excel the father. and a true father is always happy to see his children excel him, just like a true leader is happy to see his people excel himself. bako = bakaH, crane. this is an interesting word. vaGk (vank) = crooked, a bend in a river course. 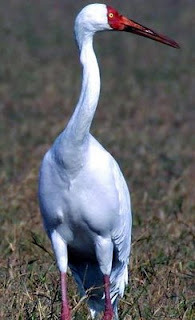 a crane is a crooked bird in design as it dupes the fish and grabs them in its claws. any person of such nature is called bakaH in sanskrit or "bagulA" in hindi. there is also the story of the crane and crab! there is an Asana in yoga named after it, bakAsana. 'yena' is masculine singular, so how can it refer to both parents? And 'shobhate' is 3rd person, masc. singular. So does it refer to the father, or the child, or the mother. Can't be more than one, since it is singular. Please can you explain? yena is masculine singular - so who exactly is it refering to. Likewise shobhate is 3rd person masc singular - so who is it that is not 'shobhate'? Kindly clarify. 'yena' is referring to mother or father whichever one doesn't get the child educated. In the first pada, it clearly spells out mAtA and pitA separately, so yena is referring to either one. 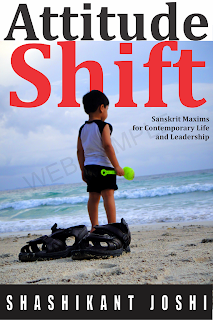 shobhate refers to the child who doesn't look good among wise people if he or she is not educated enough. येन clearly refers to the father as in the text father is the latter one mentioned. Hence येन should refer to father. If mother were mentioned latter it would be यया instead of येन. yena refers to the father as he is the latter mentioned one. If mother were mentioned as the latter one, the yena would have yielded place to 'yayaa'. Please understand that when both masculine and feminine are there (father and mother), then only masculine form is used. It is in many/most languages. For example, when there are 10 lions are standing, we say 10 lions are standing. When 10 lionesses are standing then we say '10 lionesses are standing'. But when 5 lions and 5 lionesses are standing, we say '10 lions are standing'. Similarly, when a mixer of masculine and feminine is there, then the masculine form is used. Hence, 'yena' is used for either one of them who is not getting the child to study. Also, in the short meter of a shloka, the yena and yayA will not be used twice, single use of a word, is understood using the antar-dIpikA nyAya. When we say "I like always speak truth, brush your teeth, eat healthy." here, 'always' refers to all three activities. 'shobhate' of course refers to the child who is not educated. 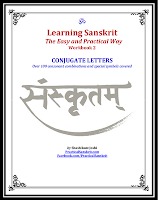 In V.S.Apte's Guide to sanskrit composition, It is mentioned that 'in Sanskrit the adjective often agrees with the substantive nearest to it. Thus, can it not be taken that 'yena' agrees with its nearest work 'pitA'? I hope my inference is reasonable, though I am not very well versed in sanskrit grammar. Today I explained this to my daughter and felt happy that she understood and appreciated it. I am so happy for you and your daughter. Explaining our wisdom, in age appropriate and undiluted but simple way is the most important thing to continue our culture. Thank you for taking time to read and then explain to our future generation. Wen I uttered this in my school I.e kendriya vidyalaya no 1jhansi I was scolded by d principal I front of the children..now wat to say.we have been listening to this shloka since our childhood.